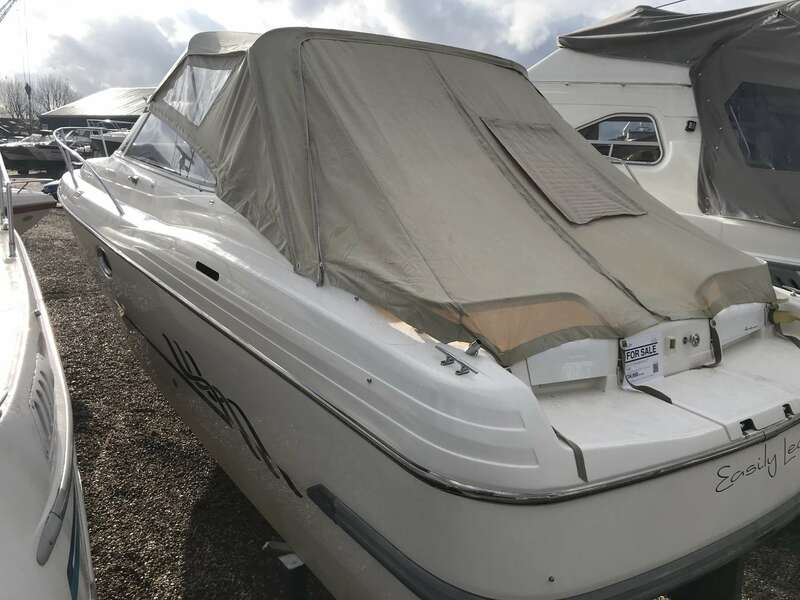 1996 Cranchi Aquamarina 31 fitted with twin Volvo Penta AD 41/DP's, with approximately 1300 hours use. 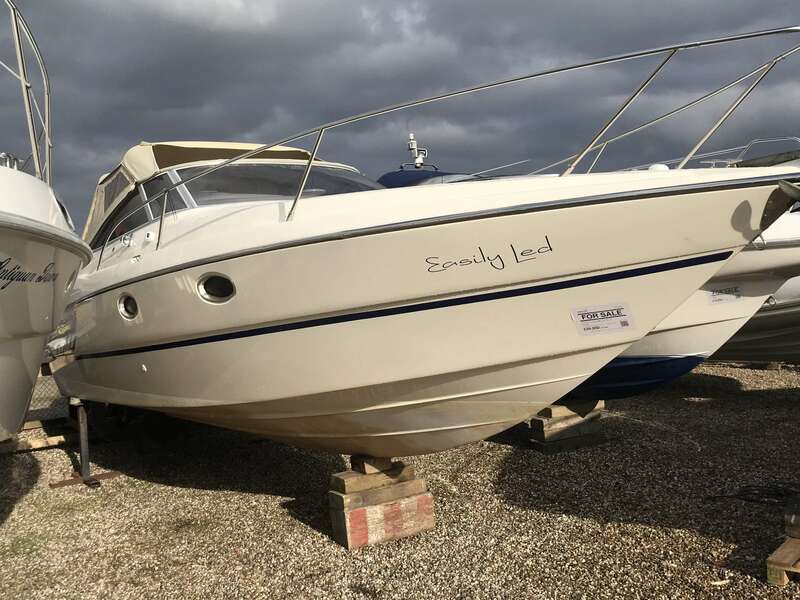 * NOTE - THIS IS NOT A BROKERAGE BOAT - This STOCK boat comes with a minimum 3 month warranty. Great specification to include: anchor winch, full set of covers, GPS, TV, hydraulic trims tabs and more. The boat has space for 4 berths. 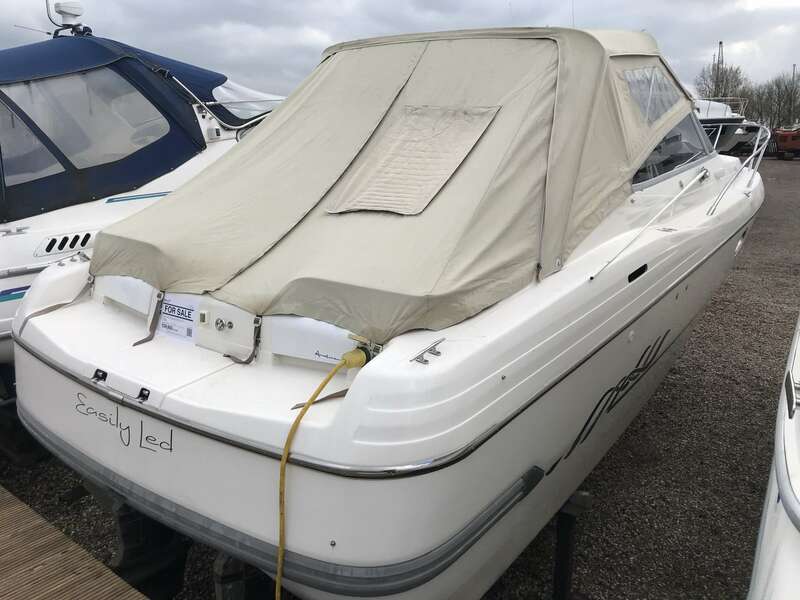 The previous owner had the boat for almost 20 years and loved every minute of it and as you can see spent a lot of time and effort on keeping it at its best. The boats has been meticulously serviced and looked after. The engines and outdrives had a full refurbishment in 2017. The engine bay bilges were also cleaned, painted with new sound proofing. If you would like more informationon the Cranchi Aquamarina 31 please call Boats.co.uk on 01702 258885 or email us sales@boats.co.uk. Battery - 3 x 110ah batteries The batteries have a dedicated monitor that also displays the anchor chain deployment and the diesel heating. Television - A Sony media player is linked to a 19 LG TV. The TV is also linked to an Omni aerial and amplifier which gives excellent pitch quality. Water heater - The water heater and engine are connected to a large dual coil calorifier either of which can produce hot water for domestic hot water which then feeds the sinks and shower. Fire extinguisher - New fire extinguishers fitted in 2017.